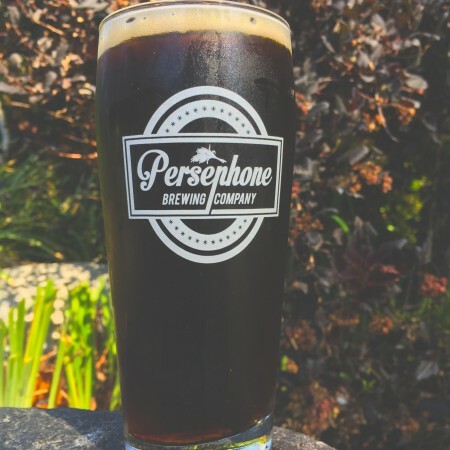 GIBSONS, BC – Persephone Brewing has announced that an autumn seasonal made in collaboration with two other B-Corp certified businesses will be returning soon for a second year. We’ve combined rich dark chocolate from Denman Island Chocolate Company, dark roast coffee from Salt Spring Island Coffee Co., and our delicious porter to create this complex, super-dark brew. Our partners are two other B-Corps, ethical businesses that believe in putting people, the environment, and quality product above all else. This beer is not only delicious, but you can drink it with a clean conscience! Brew the Change will be available soon at the Persephone tasting room in Gibsons, The Snug in downtown Vancouver, and other select bars while supplies last.